French white porcelain is dreamy. I think it looks great en masse like in the dresser, above. And the best part of such a collection? It is functional! The French china on the table setting above is divine! 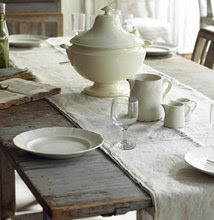 It is perfectly matched with the rough texture of the linen and grey painted table. We have quite a selection of French linen in the store at the moment, and I use it myself daily at home. I read somewhere that French people are often casual with their linen tablecloths, if there are creases, who cares? I like this philosophy...anybody else? 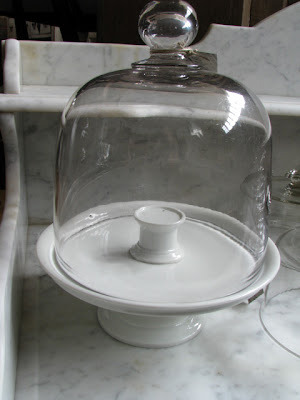 Here is a French tureen or soupiere, as they are called in France. Also, two French porcelain jugs, with swan neck handles and comports, one of a fluted design, the other two plain. All perfect for an elegant or casual table setting. I am unsure what this French comport was used to serve. If anyone has any ideas, I would love to know. It may have been used for seafood, a sauce could have been placed in the middle and the seafood around the edge. But I am just guessing. 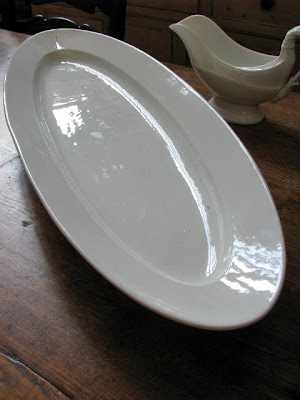 This very long French porcelain platter is stealing a lot of attention in the store. I think purely due to its size! I have pictured it with a sauce boat so that you may see just how long it really is. I imagine that it was once used to serve a whole fish. But it would look equally as good as a fruit platter, or as a fruit bowl on a long table. 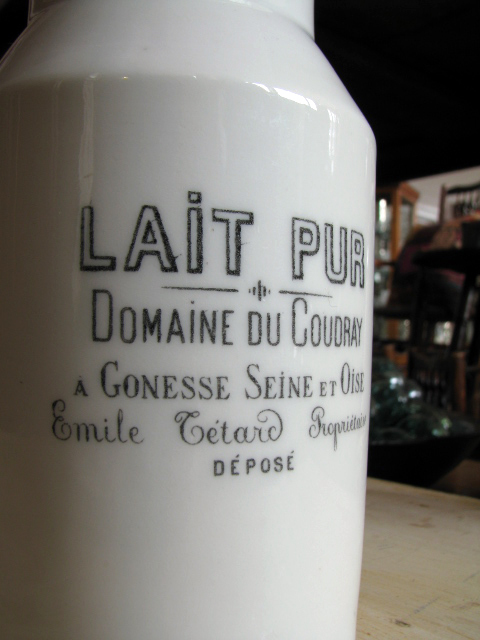 Here is a selection of French porcelain sauce jugs, all a little bit different. I love the elegance of the swan neck handle of the jug on the left, the other jugs all have what appears to be a lion's head motif. Ok, this piece is not all that practical, but isn't it divine? 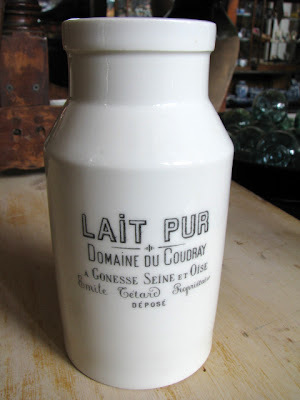 It is a French lait pur or pure milk jar. I guess it could hold a posy of flowers? I love the porcelain, it looks so light and simpel,..very beautifull especially all together in the cabinet! All images are stunning. 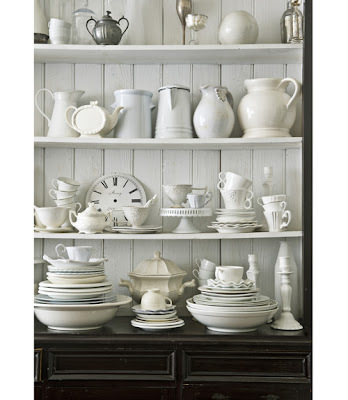 There's something timeless with a mass of white dishes. Their shape and colour are really highlighted. Can't believe how big the dish is against the gravy boat. Won't take long for that to walk out the door! Hope you've had a good start to your week. Will call in again soon.